Successfully Added Mini Cell Phone KK1 - Bluetooth, Quad Band GSM, 330mAh Battery, Full Numpad, 0.66 Inch Display (Gold) to your Shopping Cart. The KK1 is probably the smallest cell phone on the market today. With a weight of just 20 grams and measuring 70x25x9mm, it's hardly bigger than your thumb. If you're looking for a discreet phone the KK1 is likely to be your best choice as you can conceal it in a pocket or bag and hardly notice it is there. For those wanting to ditch heavy accessories and not be weight down it an ideal solution. Great as a backup phone or for those nights out where you don't want any baggage. 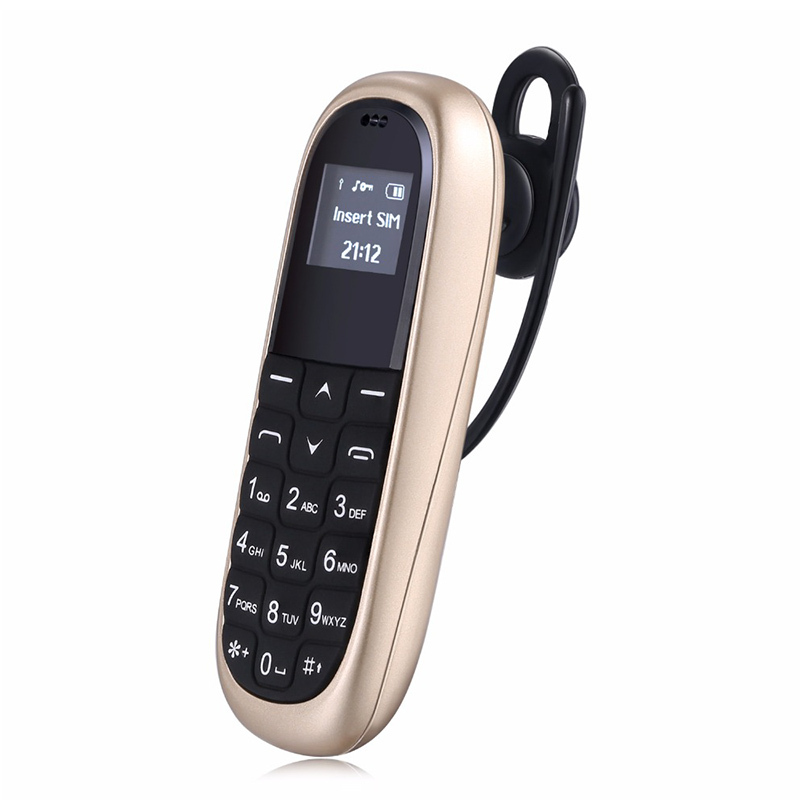 With its Bluetooth support, you can sync this mini phone with a pair of Bluetooth headphones and further streamline your connectivity. The phone also comes with an over ear clip letting you use it hands-free. Fantastic for when your hands are full or if you're behind the wheel. This mini phone supports quad-band GSM connectivity so it can work with just about any country with nearly all cell service providers. The 330mAh battery in this phone means you can enjoy around 3 hours of continuous usage time - more than enough for a night out and usually sufficient to see you through a full day. The KK1 mini cell phone comes with 12 months warranty, brought to you by the leader in electronic devices as well as wholesale mobile phones and cool gadgets.